Laying new turf can make a huge difference to any backyard, and can even increase the value of your property. However, new turf requires extra care while the roots are establishing to ensure the end result is a lush green lawn. The care required to cultivate healthy turf depends on the environment and climate of where it is laid. Follow our 6 top turf care tips below to encourage the healthy growth of your newly laid turf. If you haven’t laid your new turf yet, click here for our step-by-step guide on how to lay new turf. Should turf be watered as soon as it has been laid? As soon as your new turf is laid, thoroughly water the lawn as this is one of the most important waterings and will begin the healthy growth of your new turf. The water should soak right through the turf to the soil below. How often should newly laid turf be watered? Regularly watering your newly laid turf is one of the most important parts of ensuring that your new lawn thrives. The amount of watering required will vary with the environment and weather. For example, in the hotter months of the year, you may need to water your turf up to 4 times a day. However, in moderate weather, your turf may only need to be watered once or twice a day. The key to cultivating newly laid turf is to ensure that the area between the new turf and the soil beneath never dries out. As a general rule, new turf should be watered once or twice a day for the first two weeks after it was laid. For best results, water early in the morning or late at night to ensure that the water doesn’t evaporate in the sun. Although it is important to keep your turf well watered to ensure that the roots can establish themselves, it is important not to overwater as this can encourage law disease. To prevent this, check to see that the underside of the turf is damp rather than dripping wet. After the first couple of weeks, watering can gradually be reduced to every second day, and then every third day, until you reach a watering schedule of once a week at about 5 weeks after the turf was laid. However, if the turf was laid during summer or a heat spell, the turf may need to be watered daily for up to a month after it was laid. If you’re not sure whether or not your turf needs more water, check the underside of the turf as it should be consistently damp for at least one month after the turf is laid. The turf should be kept damp until the roots become established. To check if the roots have started to establish themselves in the soil below, try pulling up the edge of your turf. It should be hard to pull the turf up from the ground. Once this happens, your turf will require less water (one deep watering a week). 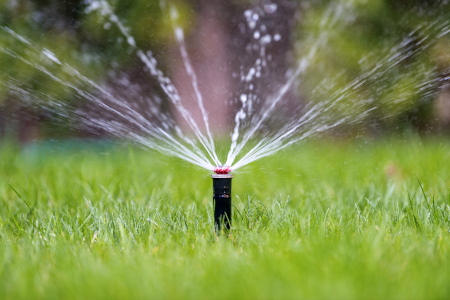 Reducing your watering schedule to once a week will also help to establish a more drought resistant lawn. How long should you wait before walking on new turf? It is important not to walk on the new turf until the roots have had a chance to establish themselves in the soil below. This will usually be a period of 4 to 5 weeks. However, if the turf has been laid on a slope the roots will take longer to establish and foot traffic should be avoided on the turf for up to six weeks. Walking on turf before the roots have established can hinder the development of the roots and can also affect the levels of your turf. How soon can you mow turf after laying it? As a general rule, newly laid turf should not be mown for the first two weeks or so after it was laid. This gives the roots a chance to begin establishing in the soil below before mowing begins. A good indicator of when you should first mow your turf is when the leaves have grown to be double the length they were on delivery. Additionally, check that the turf doesn’t move when you try to pull it up as this is an indicator that the new lawn has established roots. When mowing new turf for the first time, set the mower to one of the highest settings to encourage more green leaf growth. The mower should cut no more than ⅓ of the leaf of grass. 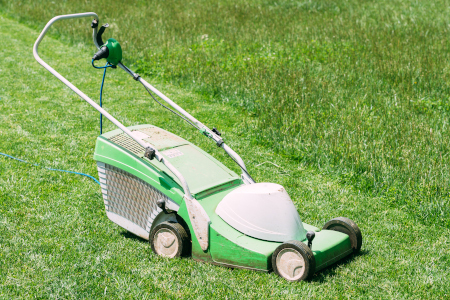 After the first mow, you can gradually begin to lower the cutting setting on your mower over the course of a month until the desired height is reached. How often should your turf be fertilised? Your turf should not need to be fertilised until two months after it has been laid as it should already have fertiliser applied before it was delivered. In fact, adding fertiliser to the new turf can actually hinder the growth of the lawn as the fertiliser already on it will have been specifically designed for new lawns. The first time you fertilise your turf (two months after it was laid) a slow release fertiliser should be applied at half of the manufacturer’s recommendations. 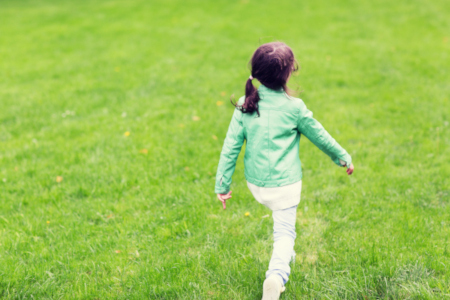 From then onwards, your lawn can be fertilised as normal. Note: Results may vary depending on the surrounding environment and weather conditions. 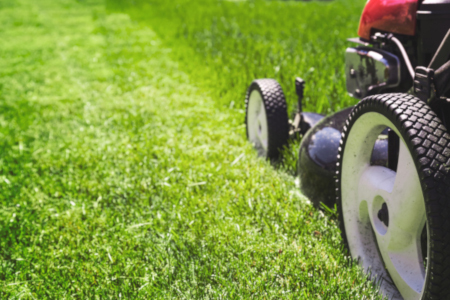 Visit Wellers Hill Hardware & Landscape Supplies for all of your turf care needs. our experienced team can offer turf care tips for your specific location and environment as well as supply all of the necessary products to grow a healthy new lawn including, under turf soil, topsoil, fertiliser and more.